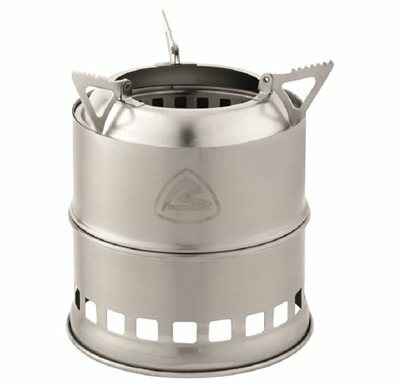 The Lumberjack stove burns wood so need to carry fuel on an expedition in the great outdoors. It has a double wall construction for effective and cleaner combustion.The stove is light and compact and has a carrybag included. camped numerous times in mourne mountains forest with this, had gas ,trangia and hexamine stove options as well,always used this . free fuel, smoke to keep midges away, heat and cooks brilliantly. slower than gas but then I'm camping overnight so not lightning quick but more than quick enough. easy to use.